Are you worried about your upcoming surgery? Are you feeling completely lost, not knowing what to expect before, during and after the procedure? When you or a loved one is diagnosed with a healthcare issue, especially if the doctors are requiring surgery, there are many things to consider. One aspect of the procedure most commonly overlooked is how you are FEELING. The medical news that surgery is necessary often turns your entire life upside down, and can cause feelings of fear, anxiety, uncertainty and more. While fear, apprehension, and stress can be “normal pre-cursors” to any major surgery, these emotions can also take a toll and ultimately impact the results of the surgery and the healing process if they are allowed to run unchecked. In today’s western medicine, the physical part of the surgery is only twenty- five-percent of complete healing and wellness. The other seventy-five- percent consists of emotional issues, mental beliefs and spiritual beliefs. Emotional Issues – Are you thinking about what’s happening instead of FEELING what’s happening? Maybe you are someone who has never expressed your feelings, have internalized them, or don’t know how to express them. Maybe you’re “thinking” your feelings instead of actually emotionally “expressing” them. Mental Beliefs – What are you saying to yourself on a daily basis? Get rid of that “stinking thinking” and negative self talk. Negativity can add fuel to the fire of physical illness. Spiritual Beliefs – How are you connected to your higher self? Are you connected to your divinity? What do you truly believe in? Do you even believe there is a way to get better? diseased part of the body was removed, but the other seventy-five-percent of the healing was left undone. There is an energetic component to healing that’s not often talked about. Let’s look at the concept of phantom pain; pain that feels like it’s coming from a body part that is no longer there. Doctors once believed this phenomenon was a psychological problem, but experts now recognize these as real sensations. When a part of the body is surgically removed, the energy field of that part is still intact. The phantom pain is energetic pain emanating from the lost limb or part of the body which has been “amputated” from the body. Patients who have had gall bladder removal surgery have experienced phantom pain just as someone who has lost a leg. So, whatever was running the program that created the physical problem is still running when we don’t address the remaining seventy-five-percent of the issue. 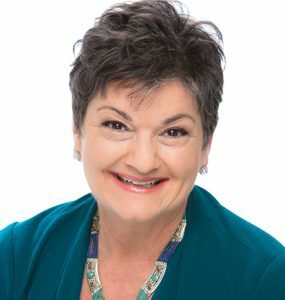 Dr. Donna Eden is a well known energy healer. In her book, Energy Medicine, she shares a story of a soldier who lost both his legs when he stepped on a land mine in Vietnam. The legs were no longer there, but the pain he had experienced when he stepped on the mine was. He could feel his right foot being blown apart as if it were still there. The pain was so excruciating that the man thought about taking his own life. Dr. Eden could see and feel the energy of the now absent legs, and through acupressure in just the right places, she was able to help in healing that which kept this man tied to his past through phantom pain. Is it really possible to see and feel energy of legs no long there? Yes! The Kirlian photographic process reveals visible “auras” around the objects photographed. The aura is an energy field produced around all things, animate and inanimate. It is constantly changing with the thoughts and/or emotions one is experiencing. There are many people who have the ability to actually see auras with the naked eye. Dr. Eden is one of those people. Kirlian photography was officially invented in 1939 by Semyon Davidovitch Kirlian. For more on Kirlian photography, visit YouTube where there are some interesting videos describing Kirlian photography. frequency of the word is captured in the frozen water. In contrast, when the word “hate” is labeled on the water, followed by the same procedures, the crystalline formation of the water labeled with “hate” showed a fragmented rather disturbing looking crystal. There is a documentary outlining the work of Dr. Emoto on YouTube, along with many other videos and articles about his great work. Eighteen months prior to a cancer diagnosis, a patient has usually undergone some major life stressor. This may be the loss of a loved one, a major life change, loss of career, a divorce or something causing a great deal of stress. Not dealing with the emotional pain that came with that event, by way of internalizing, ignoring or even denying the feelings associated with that event caused the cells of the body to change from healthy to cancerous. The feelings are energy unexpressed and they are stored in your energy field. When the container of your energy field gets full it overflows into the body where disease becomes the manifestation of not processing those feelings. This is just one example that verifies the connection of all systems of the body, mind and spirit. It also verifies that unexpressed energy is still physically present in the body. The law of attraction is also at play here. You may think the law is for manifesting only good things in your life like money, love, and a great abundance of fabulous things. The truth of the matter is the law of attraction works both ways. Whatever you focus your attention on either consciously or unconsciously, you are going to create more and more of that. This can be likened to a runaway train that is causing destruction as it goes. Simply said, “What you think about, you bring about.” What you internalize will materialize. process any loss or stressor can indeed create “dis-ease” in the body. Living in your head is the same as checking out of your physical body. Internalizing, denying or ignoring your feelings is living in your head or not being present in the physical body. In order for people to actually feel their emotions, they must be in the present moment and in their physical body. Someone who is internalizing, ignoring or denying their feelings is popping out of their physical body, going into their head, trying to control “not feeling,” expending a lot of energy through resistance and causing exactly what creates the problems. This is also keeping people from completely healing from their physical ailments. Cancer is only one example, but this holds true for any acute or chronic medical problem as well. Wouldn’t it be nice if someone was there to offer you support? Unfortunately, there is no such modality available in today’s western medicine. This is a huge gap in our current healthcare delivery system. Upon diagnosis, particularly for first time patients, there is no point of reference for undergoing surgery, and there’s a great need for an ally. Someone who can navigate your options with you. Someone who has great experience with surgical procedures. Someone who will listen as you share your concerns. Someone who can provide expert guidance. As a nurse practitioner, with over forty years of experience in the healthcare industry, I’ve successfully helped people through over 9,000 surgical experiences, from diagnosis, to surgery, and through their recovery period after surgery. I create programs that fill the gap in our healthcare system so patients have the ability to heal completely instead of fragmented. I know exactly what it takes to help navigate your anxiety, fear of the unknown, surgical procedures, pain management, and recovery process after surgery. It takes treating the physical, emotional, mental and spiritual for complete healing.